I make and sell many animal and animal related items....I have a pair of these too. 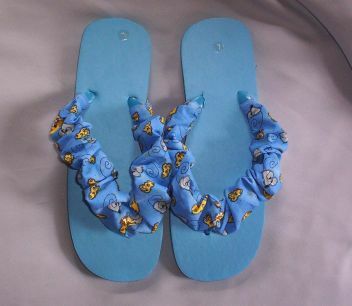 These rubber Flip Flop shoes are covered on each strap with rattie & cheese print fabric, with a gold toned rat charms. This pair is blue and is aprrox. 10" long and approx. 3 3/4" wide at the widest part (ball of the foot). The shoe manufacturer has the size M on this pair. 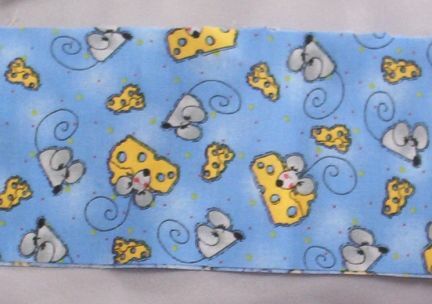 Please see the rattie print fabric close up. There is a cute little gold toned rattie charm at the toes of each of these Flip Flops.